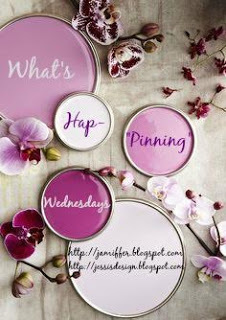 Hey ya'll and happy mid-week link-up day! I have a playdate for Miss A today with a Mama of twin girls that also keeps a couple other kiddos during the day. I'm so excited for this new friendship and new kiddo interaction for Andi! Bring on the coffee, I'm off! Today I'm sharing some cute valentines day ideas I've been seeing around Pinterest. Of course, this link-up doesn't have to be Pinterest related but I've been all about it recently. I've been in a major DIY craft mode and basically could list Hobby Lobby as a second residence. 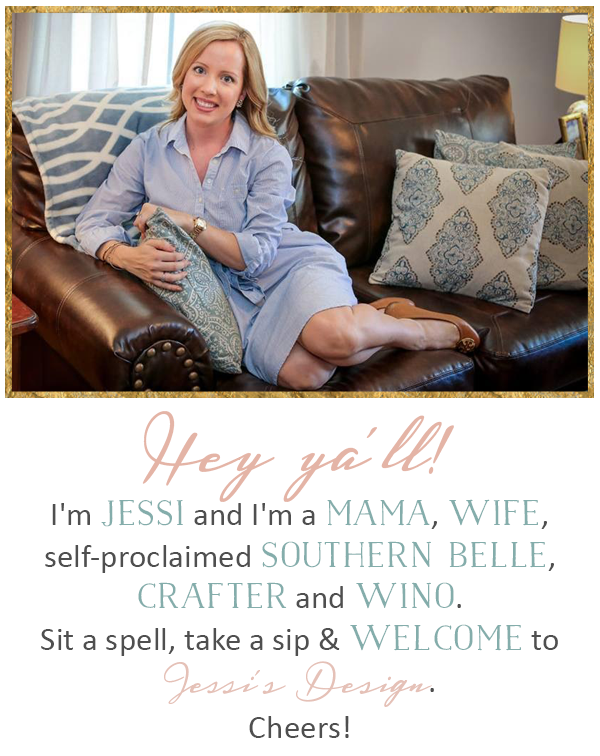 Link up with Jenn or myself and let us know whats going on in your life! Don't forget to grab our button and also don't forget to enter the giveaway we're both apart of (can you tell we love each other?) 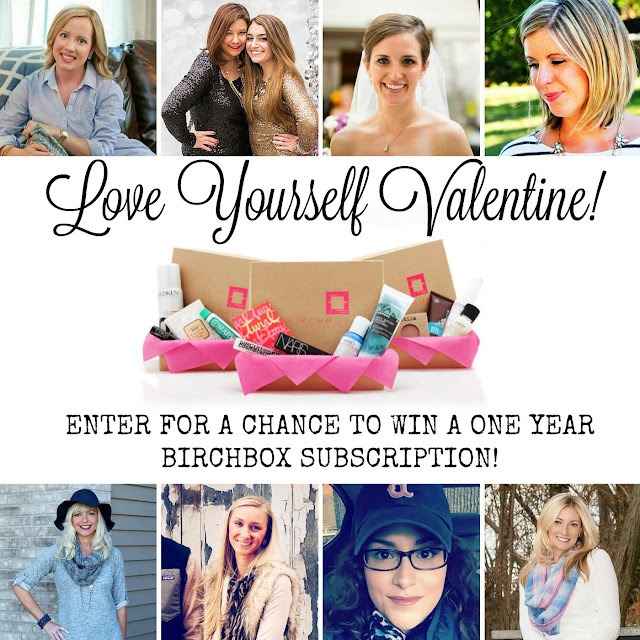 - spoil yourself by entering to win a one year Birchbox subscription! Good luck ya'll and have a fabulous day! Valentines around here and by Miss Andi! Click here for post and details on how to enter! You and I were on the same wavelength again today, girl. Great, soul-mate minds think alike I guess right? :) Love ya! My husband and son love Star Wars so that cute Obi-Wan mug would be perfect! Have a great day,-Lisa. That Ob-Wan mug is too cute! 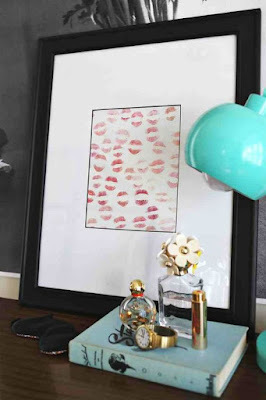 I also love the print with the lipstick kisses, perfect but simple decor to pull out for this time of year! 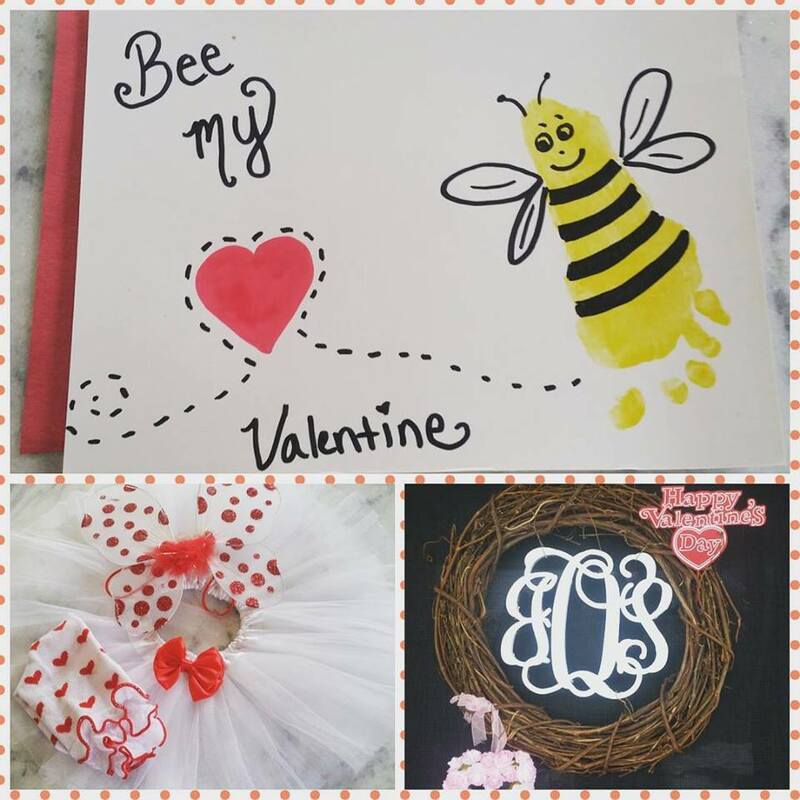 I love that Bee Mine valentine by your girl. So adorable! If I can get my act together, I'd love to do something like that with Vivi! :) And the lips one is super fun too! What a cute little Valentine that Miss A made!! You guys always do the cutest little crafts. I need to get my act together in that department! Super super super cute ideas, lady! Loving all the Valentine's Day inspiration - I just may have to throw up a few decor pieces after all. I want a gift card that I get to break out of a brick with a hammer! What an awesome idea! Love your ideas! That smash gift card is amazing! I love that little bee Valentine! So darling! That smash gift is so cool, I wouldn't mind getting something that cool! I love the bee idea! That is too cute...just a perfect thing to do with a little one! That bee valentine is too cuuuuuute!